This outdoor bullet security camera produces stunning HD 1080P video and can used with your standard RG59 coax cabling and a HDCVI DVR or Tribrid DVR. This camera is ideal for building a new camera system or for upgrading an existing security system since you can use existing RG59 cabling. This is an outdoor IP66 weather proof rated camera so you can use it outside without cover without worrying. The 3.6mm lens allows the camera to see with a 75 degree view, and the built-in infrared LEDs provide up to 100ft of night vision in total darkness. With ambient light you can see even farther. 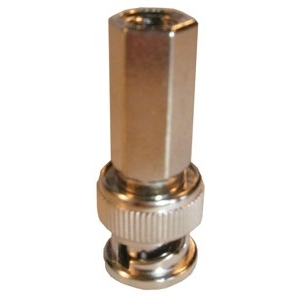 The bracket on the camera is versatile enough to allow mounting in any direction on a wall, ceiling, or pole. If you need help, with every purchase you get free technical support for the product purchased. 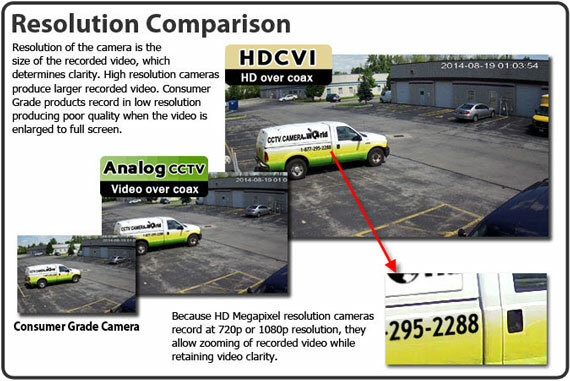 CCTV Camera World also offers free mobile apps and viewing software so you can view your cameras connected to the HDCVI DVR over the internet through your smartphone (iPhone, Android), tablet (Android or iPad), or PC/Mac computer. I want to order 32 cameras. Does each camera require its own power supply or does the power supply handle all the cameras? 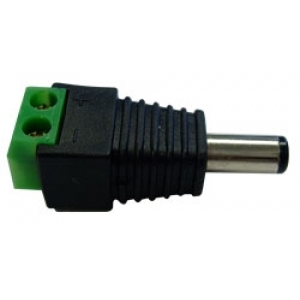 The power supply available from the drop down box is a 12V DC 1amp power adaptor for use with one camera. If you are looking to power multiple cameras, you will need a proper 12V DC Power Box that is 18port 20amp. Be sure you are using RG59U siamese wire from a roll and a HDCVI or Tribrid DVR for compatibility with this camera. I have two questions. The first is regarding the transfer rate of the camera. We have the need to check the camera via internet while we are overseas. Will the transfer rate be adequate for this situation? Next, I am trying to decide on which power supply to order. We are installing 16 cameras (eventually 32). I see there is an 18 port 10 amp and an 18 port 20 amp power supply. Which power supply would work best with this camera? Matt Stone) I have two questions. The first is regarding the transfer rate of the camera. We have the need to check the camera via internet while we are overseas. Will the transfer rate be adequate for this situation? CW) What is the transfer rate that you have? it depends on how fast the upload speed is at the location of the DVR and the download speed is at the viewing location. Generally internet viewing from an international location will be poor because of the internet speeds between countries and the distance data has to travel. You could watch a couple of cameras at low resolution. Matt Stone) Next, I am trying to decide on which power supply to order. We are installing 16 cameras (eventually 32). I see there is an 18 port 10 amp and an 18 port 20 amp power supply. Which power supply would work best with this camera? CW) For infrared cameras you need 1 amp per port to account for power degradation in the wire along the wire run. Therefore for the 33780ava you will need a 18 port 20amp power box.